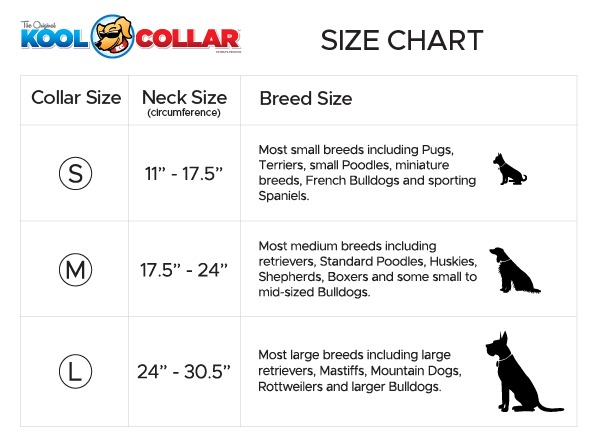 If after reviewing the chart you are unsure of what size will best fit your dog, please get in touch with any questions you may have. Kool Collars are adjustable and the collar should be fitted against your dog’s neck so they can benefit the most from either melting ice or a frozen Kool Tube. Please note that our recommendations are suggestions, sizing can change depending on size, weight and coat density of your dog.